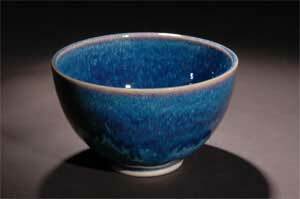 Glacier is a Chinese chun glaze, characterized by a mottled, glossy surface of blues, greens and purples. Glacier is peaceful and practical and has been a best seller for years. Available on all forms we make.